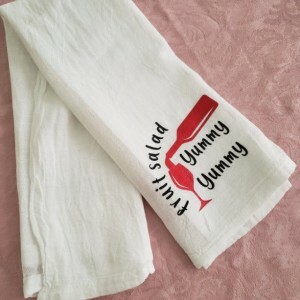 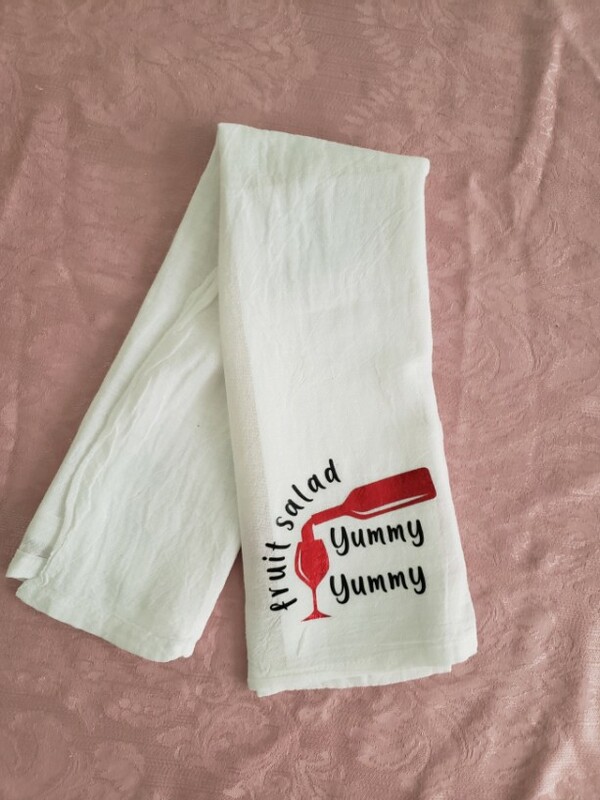 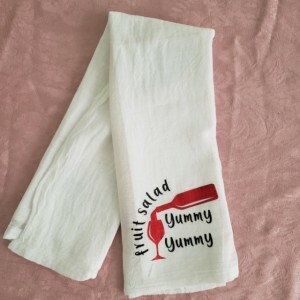 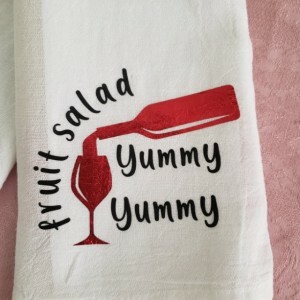 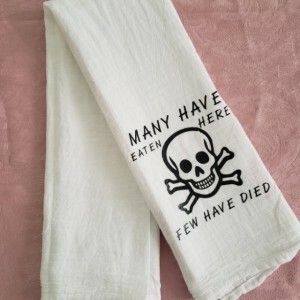 charming set of two tea towels perfect for any wine lover I spent years watching the Wiggles with my babies and every single time that "Fruit Salad" song was destined to get stuck in my head. 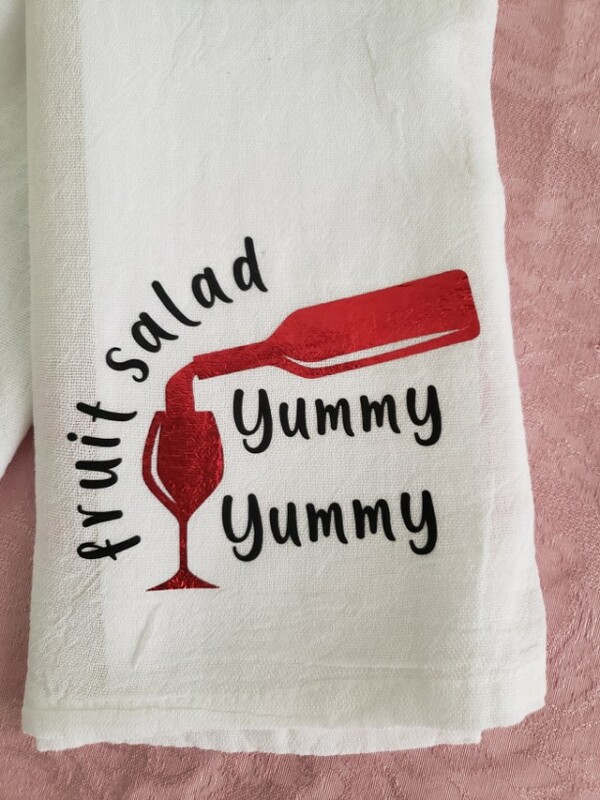 Now, nearly a decade later whenever I pour myself a glass of Sangria I find myself singing that darn song. 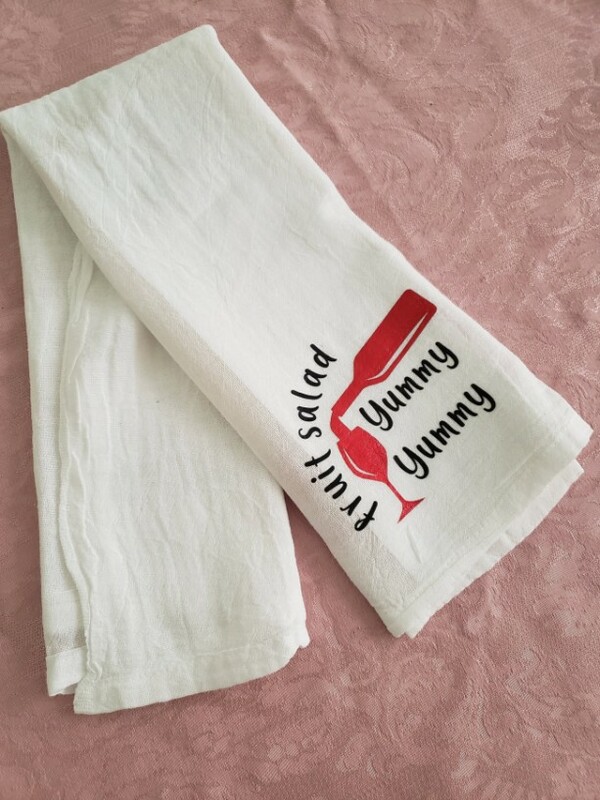 So began the birth of this tea towel.